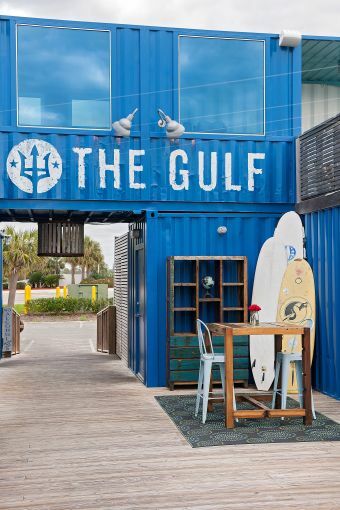 The Gulf is a casual, yet chic, seaside hideaway where the sun, sand and lush beach setting complement the tasty food, drink and friendly, casual service. The menu changes daily depending on the season, giving you the opportunity to enjoy something new each visit. We serve a wide range of delicious appetizers, side dishes and main meals. Whether you join us for a special event or a relaxing vacation lunch, our fresh seafood and local foods are sure to delight. Come recline and enjoy the good vibes, food, views and tunes.